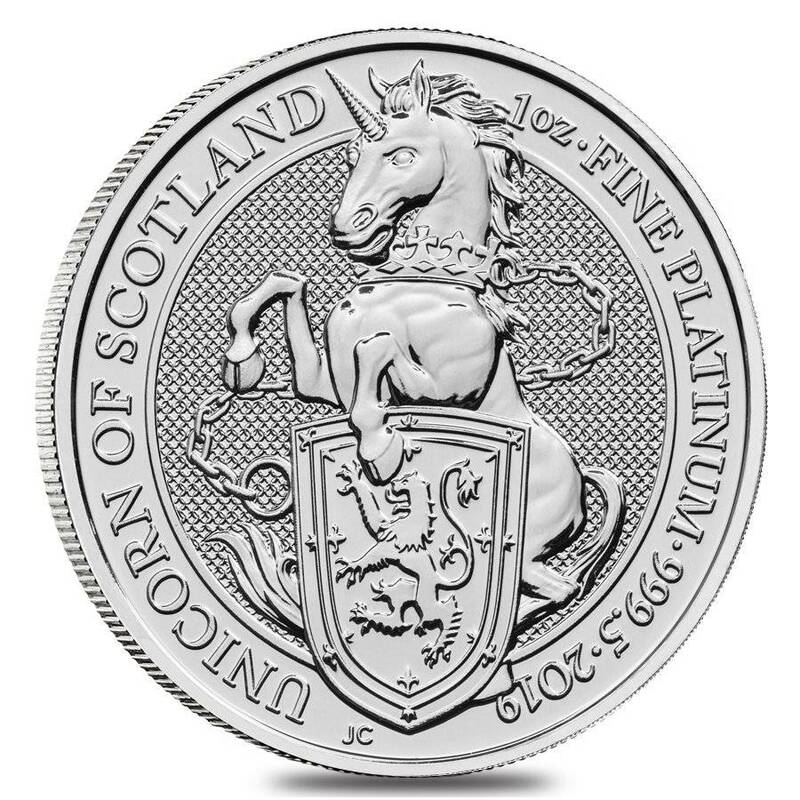 This amazing 2019 Great Britain 1 oz Platinum Queen's Beast (Unicorn of Scotland) Coin is the fourth edition in the highly-praised Queen’s Beasts series from the notable Royal Mint. The magnificent Queen’s Beasts series was introduced by the British Royal Mint in 2016 with the “Lion of England” coin. 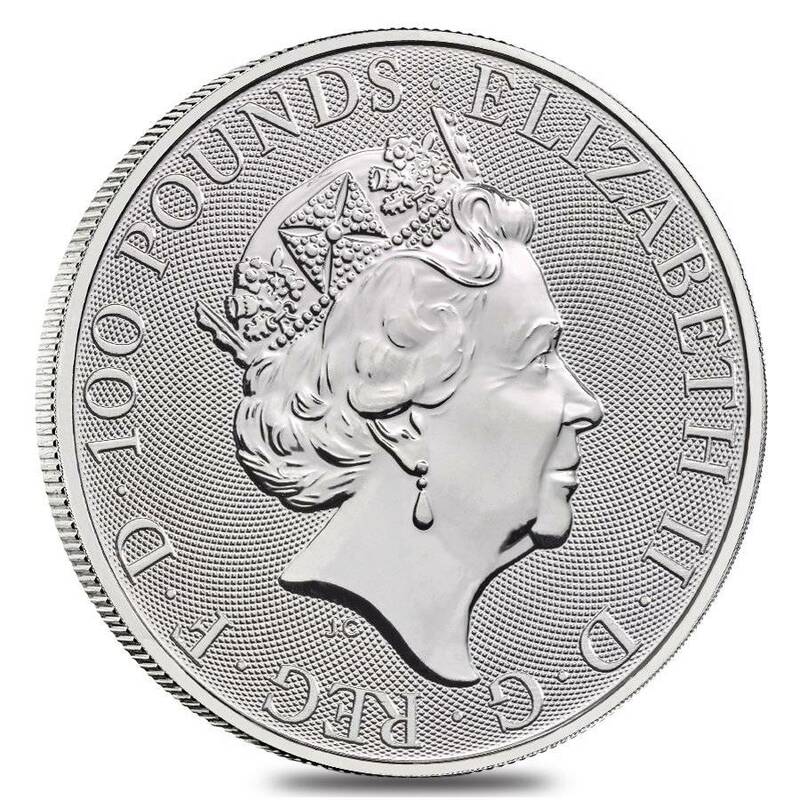 Made from .9995 pure platinum with a weight of 1 oz. Individual coin comes in a plastic flip. Multiples of 10 come in a mint-issued tube and multiples of 100 come in a monster box. Struck with a £100 (GBP) face value. 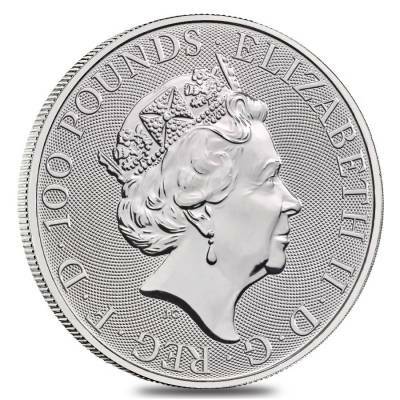 At Bullion Exchanges, you will find a wonderful collection of superb bullion coins produced by leading mints. 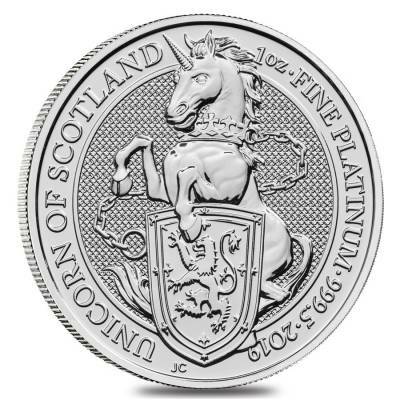 Add this superb 2019 Great Britain 1 oz Platinum Queen's Beast (Unicorn of Scotland) Coin to your portfolio today, and it will be thoroughly packaged and shipped to your address. If you have any questions, just call us at 800.852.6884, or write an email, and we will be happy to assist you. With this purchase, you earn 951 Bullionaire Bucks 951 BB = $0.95. We currently have 86 of this item in stock. For every $1 spend, you will earn 1 Bullionaire Buck which is equivalent to $0.001 off a future purchase. 951 BB = $0.95.